With the current cold snap you may have had to rush back to your thermostat to turn the heating back on, and Amazon obviously recognises that. The Amazon Spring Sale is on now, from Monday April 8 until next Monday at midnight, and this early spring sale deal is still live. 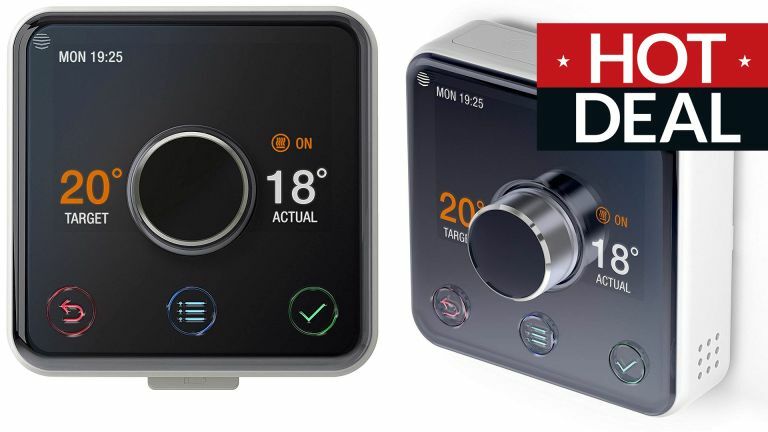 You can get Hive's excellent Active Heating smart thermostat with professional installation as part of the price, all with a big £100 off. Realistically you might not get much more use out of it for heating until winter (if this summer 2019 is anything like last year's anyway), but it can handle scheduling your hot water heating as well, and it'll still be nearly new and good to go when autumn and winter loom into view and its radiator time again. Yes, the weather outside may be frightful, but the Amazon deals are delightful, and you probably won't find a better price on this Hive thermostat until at least, ooh… Amazon Prime Day? • App control of your heating and hot water – turn it on, turn it off, set the temperature and schedules. It'll work with heating zones if your home has them. The app also controls all other Hive smart home products – cameras, lights, plugs, sensors, etc. • You can set up to 6 daily time slots in the heating and hot water schedules. A Boost button fires up your heating and/or hot water for up to 6 hours. • Heating kicks in at a low level when temperatures approach 0º, protecting your pipes from freezing. • Geolocation means heating can be turned off and on as you leave or return home.